That is a very tall mountain to snowboard with. GLHF. 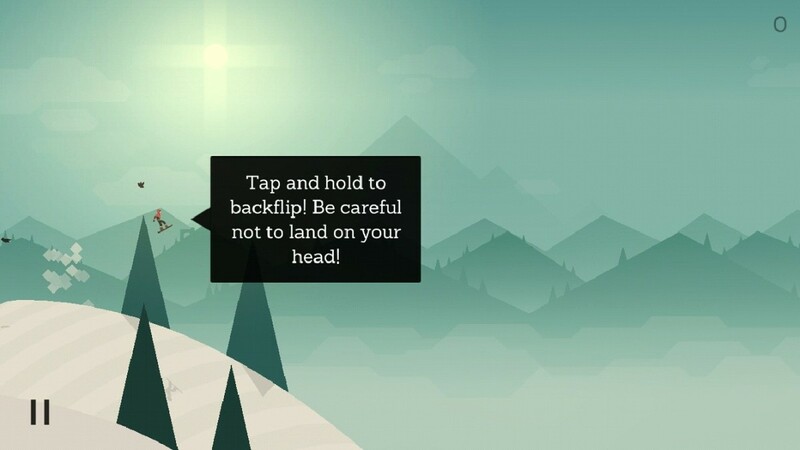 Alto’s Adventure is an endless runner (or for this one, snowboard) game created by Snowman. 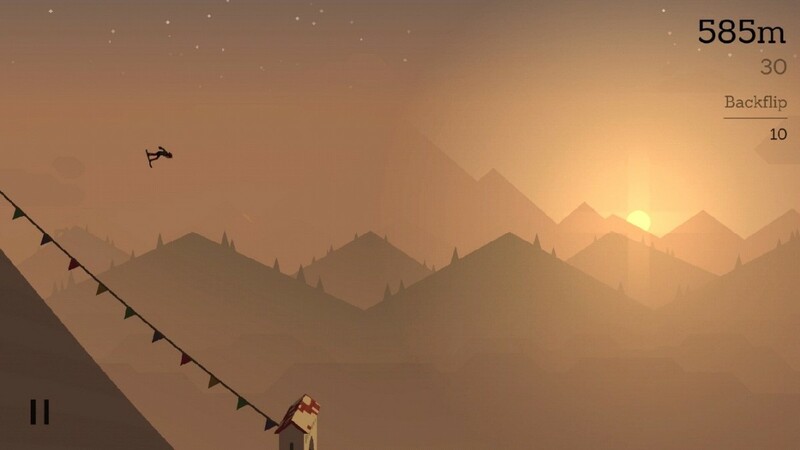 Alto, the thrill-seeking, snowboarding lad, rushes down a very tall mountain catching escaped llamas. The first thing you will notice is the art style. It looks amazing and has great music. I got distracted a lot of times and missed some of the jumps because of visuals. Not surprisingly, the game won multiple awards including App Store’s Best of 2015 and an IGF Honorable Mention Excellence in Visual Art. First you’ll go through a tutorial. 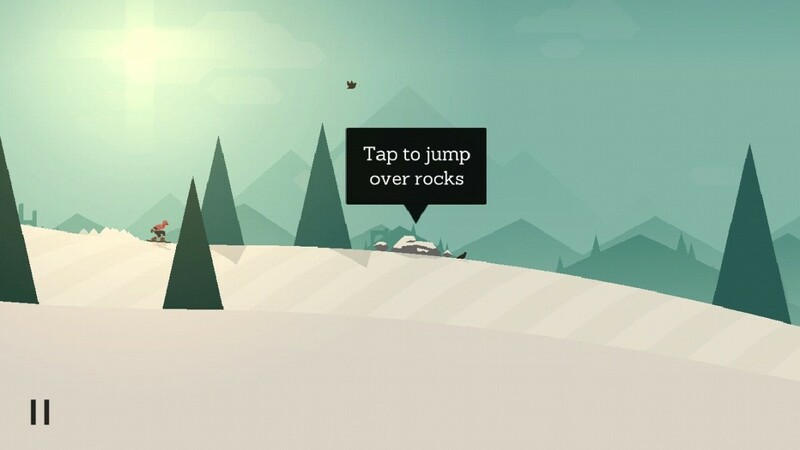 Basically, you just have to tap the screen for Alto to do a jump and clear obstacles like rocks and chasms. You can also tap and hold to do a backflip. Just make sure you land it perfectly! It needs a bit of practice to land a backflip. 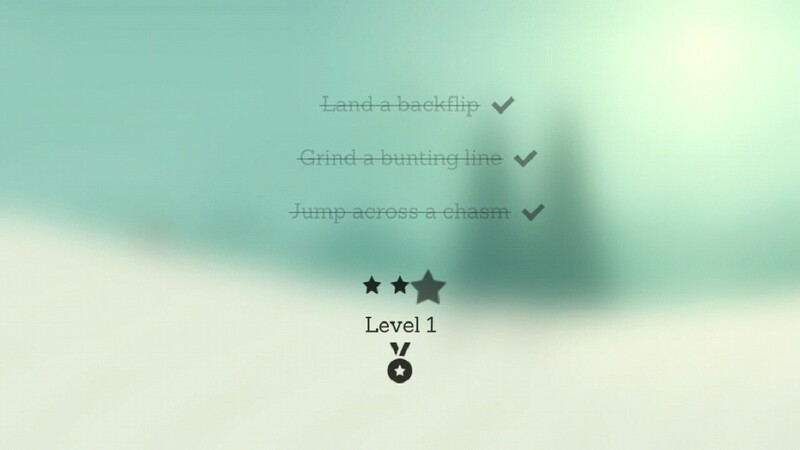 You can also Chain different tricks in order to get a higher score! Backflip + Bunting Grind + Roof Grind + Backflip exit on to a Rock Bounce then a Backflip again while catching a llama. Your move, Shaun White. 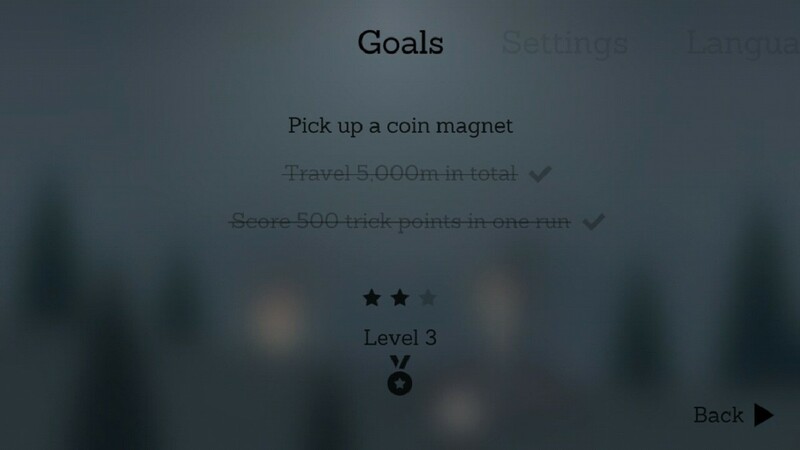 You need to clear three goals per level in order to proceed through the game. You can check the goals needed to clear the level by going to the menu. 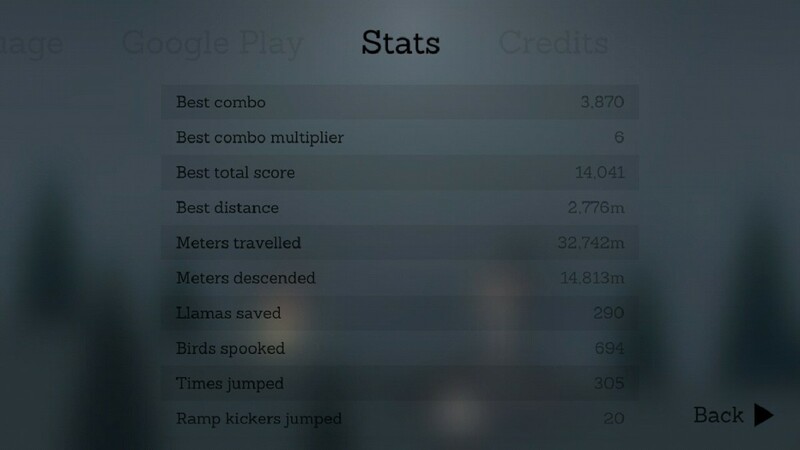 And here’s the stats after I ended the day. You can check your all-time stats by going to the Menu. 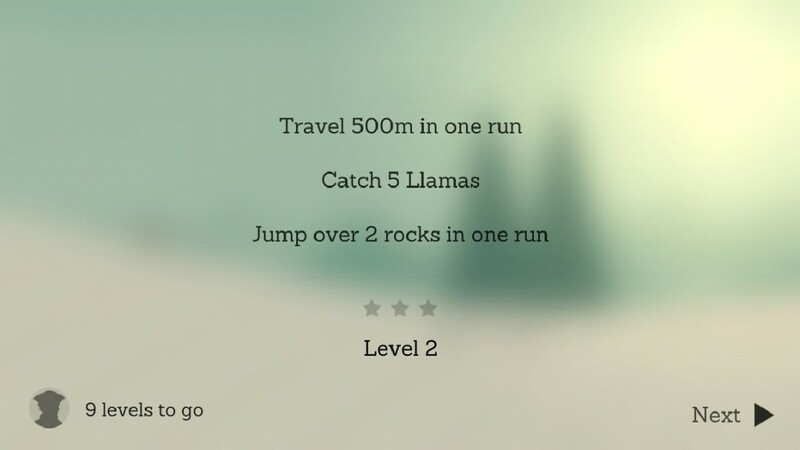 After you get the hang of catching llamas and doing backflips, you can focus on goals set by each level. When you clear a level, you will be able to unlock a new Snowboarder! Each Snowboarder has their own traits and skills. 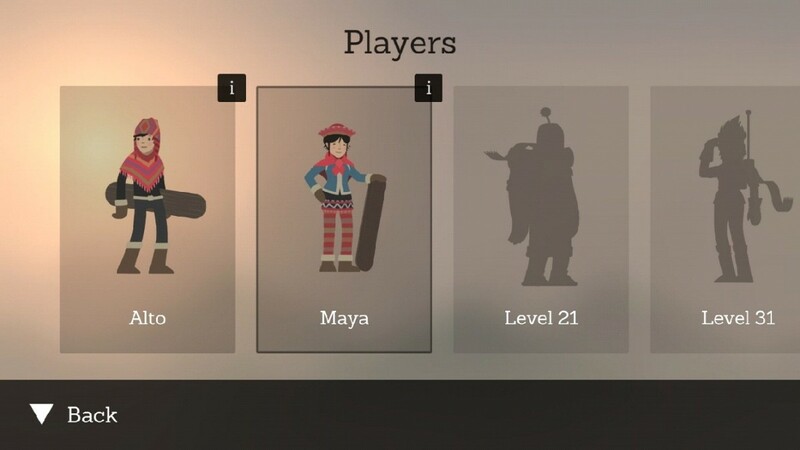 You can unlock the other five Snowboarders by clearing their required level. Yup. 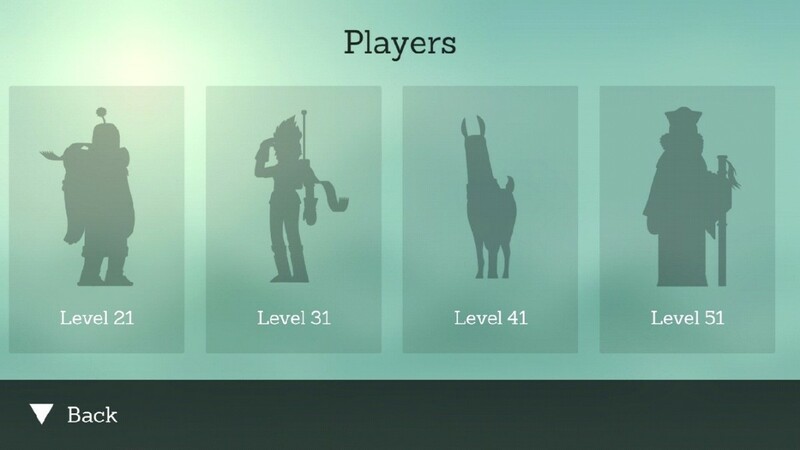 We can assume with that silhouette that a llama can be unlocked. Figures. 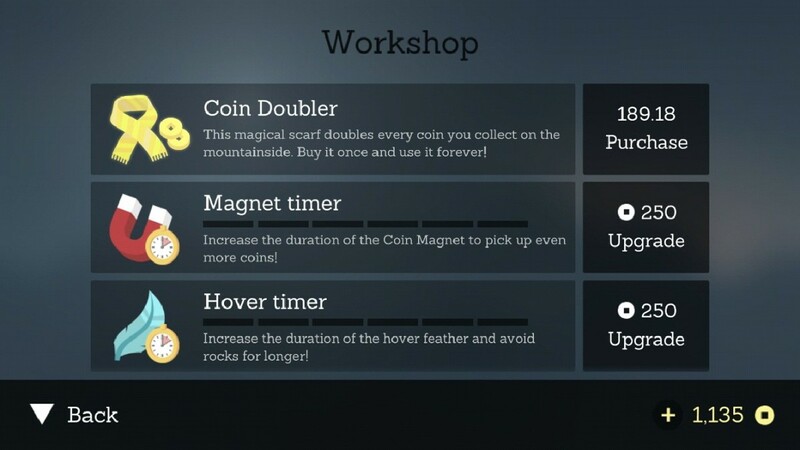 You can check out Izel’s Workshop to power up your Snowboarder and spend those shiny coins. Upgrading these will definitely help you clear those challenging levels. 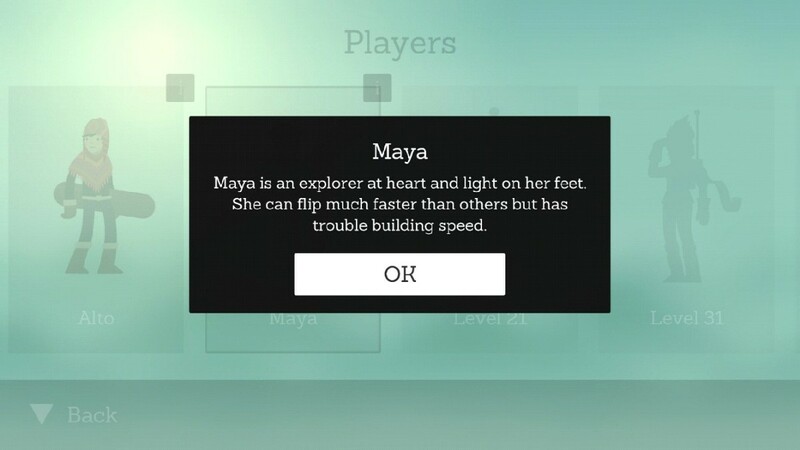 The goals got a bit harder after I acquired Maya. 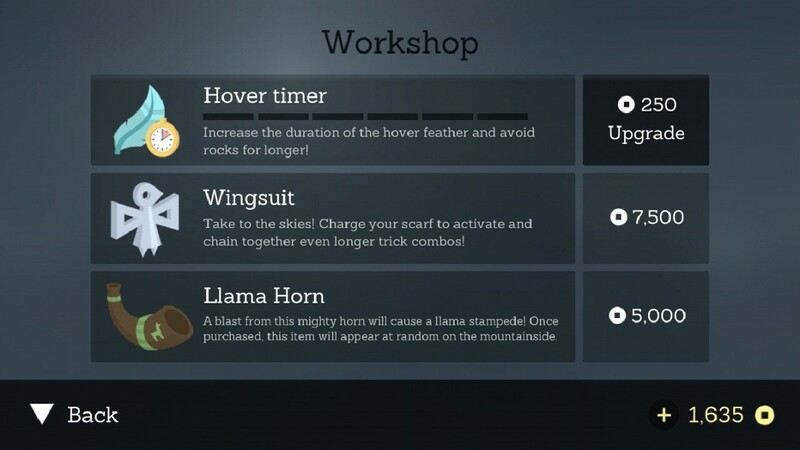 I spent coins on the llama horn upgrade to clear a goal that requires me to catch 25 llamas. I was aiming to unlock the next snowboarder but got stuck in level 16. Alto contemplating why he left the fences open. 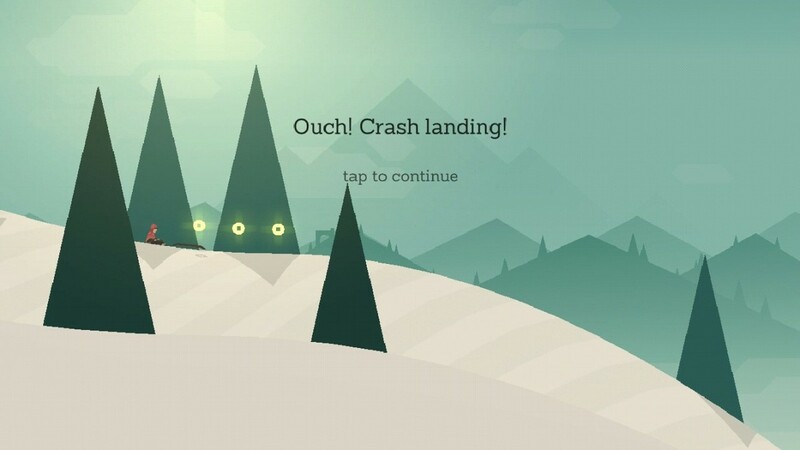 I love Alto’s Adventure. Its beautiful art style, impressive music and its simple mechanics got me hooked, just like when I played Jetpack Joyride. Looks like the developers really like llamas because even the the game title has a llama on it! I wonder if llamas can stand tropical weather because I definitely want one. Want more After 3 Days game reviews? You can check out our review of Hellgate London FPS, a mobile version from the original franchise, and The Greedy Cave. Follow Gamenomnom on Facebook and Twitter to stay updated on our latest reviews and news. He is known by his colleagues as That Guy with the Crazy Hair. A big fan of Naruto, he also dreams to be the leader of the Hidden Leaf village. He closely follow the Esport Scene during his downtime and loves pasta. Sometimes, he can be seen contemplating anything under the sun.